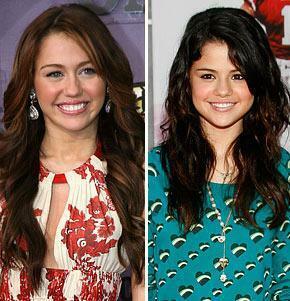 i Amore miley and selena. . Wallpaper and background images in the Miley Cyrus vs. Selena Gomez club. This Miley Cyrus vs. Selena Gomez fan art might contain camicetta, mother hubbard, muumuu, madre hubbard, scamiciato, superiore, and in alto.